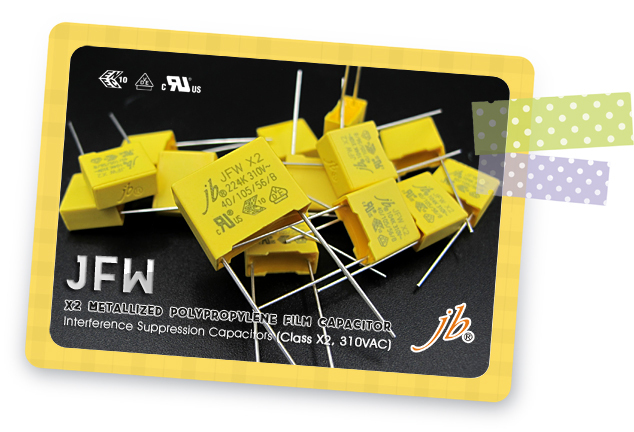 We designed a new online catalog for class X2 capacitors JFW, which will not be printed due to environmental purpose. 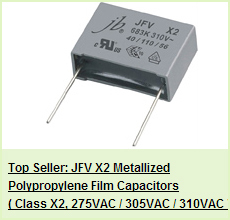 JFW is our best seller among all of our plastic film capacitors. Our 310VAC JFW X2 Metallized Polypropylene Film Capacitors is granted with VDE, ENEC, UL RoSH and Reach Certifications. 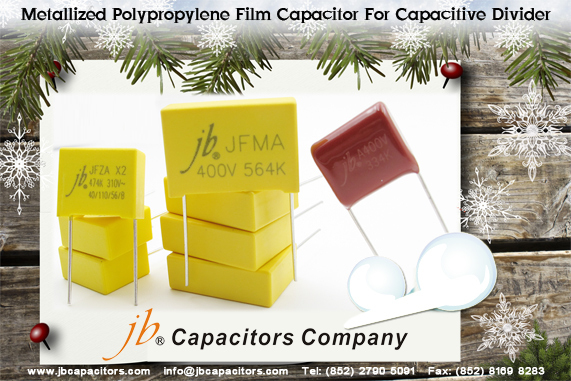 jb Capacitors R&D department accumulate years of experience in film capacitors, in year 2018 we develop a kind of capacitors especially use in serial circuit. Suitable for applications in serial with the 100~240Vac mains, as energy meter, a small power LED driver module,small household electrical appliances control panel (electric kettle, electric cooker, coffee machine, hair straightener etc. ), thermostat, replace the transformer. Widely used in LC resonant, high frequency high current situation. 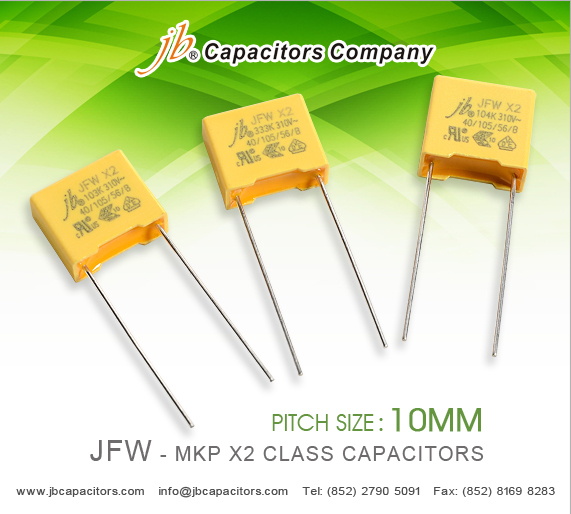 In order to convenient customers, jb Capacitors has already prepared the stock sample of pitch 10mm Class X2 310VAC JFW in different sizes and values, jb Capacitors can sent it to you quickly for testing. Besides, the sample is free for you, if there is no exact size or value you want, you can contact with jb sales woman to order samples, the samples delivery time is about two weeks. 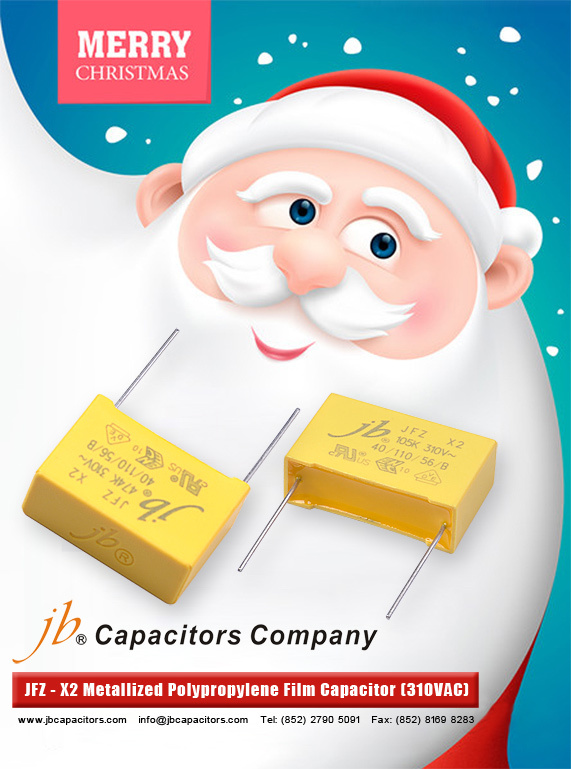 jb Capacitors Company Wish You a Restful Labor Holiday! 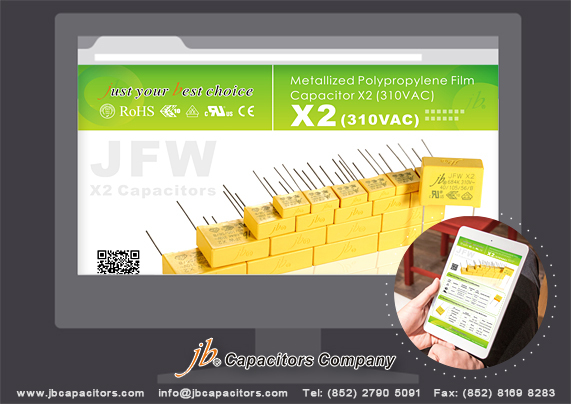 During this International Labor Holiday, jb capacitors company has more favorable offer and fast delivery on X2 Safety Capacitors. 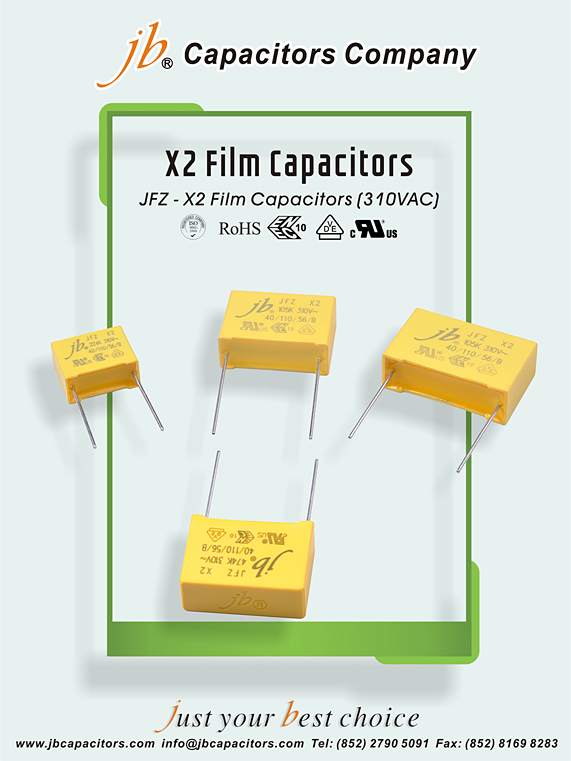 jb capacitors company has used its extensive knowledge and expertise in the field of capacitor technology to develop JFZ X2, a stable high quality film capacitor combined layers of polypropylene with a light metalization which provides rated voltages of 310 VAC. With an X2 safety rating, these capacitors are suitable for led lighting applications. Capacitance varies from 0.0022~2.2uF,Ammo pack,Cut leads,Long leads are available. What’s more, they are complied with ENEC, UL, cUL, and RoHS approvals. Should have any interest, please refer to below datasheets. My dearest friends, winter is coming near and near, please take good care and keep warm of yourselves at this happiness season. Are you looking for high quality commitment, competitive price of class 2 metallized polypropylene film capacitors? That’s right, find us! We are your trusty supplier here. 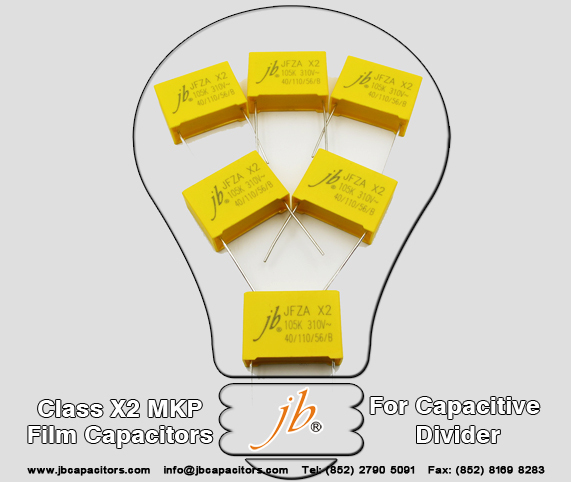 jb Capacitors company with more than 35 years manufacturer history, JFZ 310VAC X2 MKP capacitors is our most strong products which offer at favorable price with superior quality, comply with ENEC, VDE, UL, RoHS safety approvals. What’s more, short delivery and fast sales response for cross, quotation. Any interest? Please contact us, we are ready here to offer you best services, especially, big surprise to you during this Christmas season!! 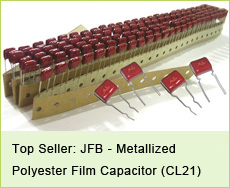 jb Capacitors manufactures X2 Metallized Polypropylene Film Capacitor, which also named Interference Suppression Capacitors or X2 Safety Capacitors. 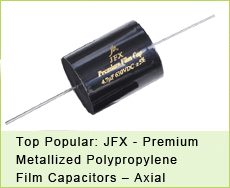 It is the strongest series in our plastic film capacitors. 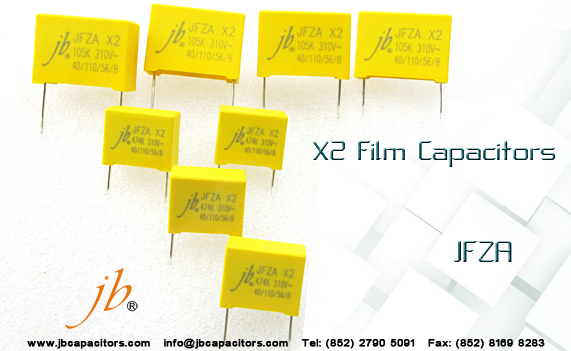 jb JFZ-X2 Safety Capacitor, has VDE, ENEC, UL and cUL approvals. As an across-the-line type noise suppression capacitor, and suitable. Electric tools, lighting, hair dryers, water heaters and other household electrical appliances.